Everybody gear up for the latest batch of Imperial Stout to hit the shelves and taproom bar. 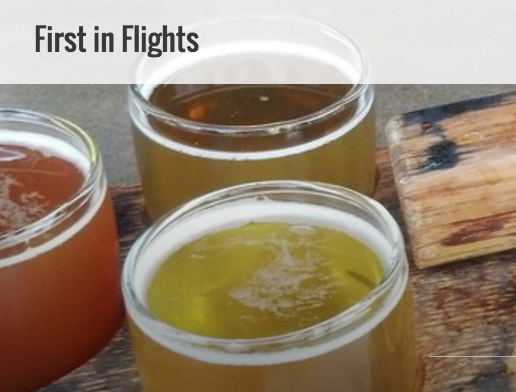 Getting some local love from firstinflights.com. Click here for full review. 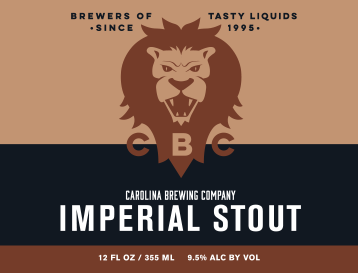 NC Beer Guys talk to CBC about celebrating 20 years. Rewards program - so make sure to sign in! The Paddy Wagon is by Doherty's Irish Pub and the have taken the show on the road. look for authentic Fish & Chips and other great dishes like Grilled Reuben, Guinness Braised Brisket Melt, Irish Egg Rolls, and Bangers & Chips. Beefy Buns brings their signature sandwiches and sliders to CBC. Every dream has inspiration, and Beefy Buns' just happens to be their family. They wouldn't be where they are without them, that is a fact! During this journey, they have had family members sacrifice their personal time to ensure this dream comes to fruition. In honor of them, each menu item is inspired after a family member who has in turn inspired them! Adobo Joe is devoted to the traditional Filipino homestyle cooking. Chicken and pork adobo, lumpia, pancit, and adobo-joe on a pan-de-sal rolls (my version of a sloppy joe) are just to name a few of our food truck specialties. The cuisine you will discover is all time Filipino favorites, which are culturally traditional foods and are always found at Filipino dining tables. Filipino food recipes are rich in flavors and colors because of the diverse cultures that influenced our cuisine such as the Spanish and Chinese. This adds a more exciting complexity and dimension to our flavors, as a result, Filipino cuisine is unique on its own. Because we want our customers to have a true Filipino experience, we use authentic ingredients. Our approach may be unconventional and our dish pairings may seem unusual but the end results produce explosive flavors! You will know it's Filipino cooking because it's flavored with fish sauce, soy sauce, shrimp paste, vinegar, and garlic. We have a great passion for what we're doing and we feel an even greater responsibility for bringing this food to the triangle area. We really think Filipino food can stand on its own, and we feel there is no better way to make our cuisine more accessible than having a food truck to deliver it. Now we invite you into our world of cooking and discover Filipino food like never before!!! It Came From the Cellar! We are having an NC Beer Month Party! Join us as we bring some Tasty Liquids “up” from the "cellar"! We just wish we had a cellar that looked like this picture! Something for the Hop Heads Too! We will have BuffolinaNC Food Truck here 5-9pm serving up awesome wings, beef on weck, and other Buffalo Classics!